The acidic taste in your throat. The fiery feeling in your chest. The chronic cough and difficulty swallowing. If you’re part of the 40 percent of Americans who suffer from regular heartburn, you know it feels pretty terrible. 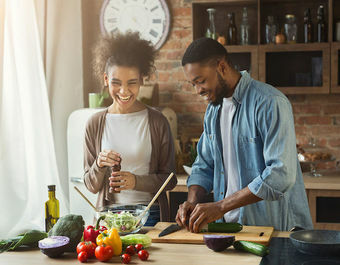 The good (or bad) news is that about 95 percent of sufferers can trace their symptoms back to a particular food, meaning, with a little detective work, you can figure out what to eat and what to avoid. We’ve gone ahead and done some of the grunt work for you. 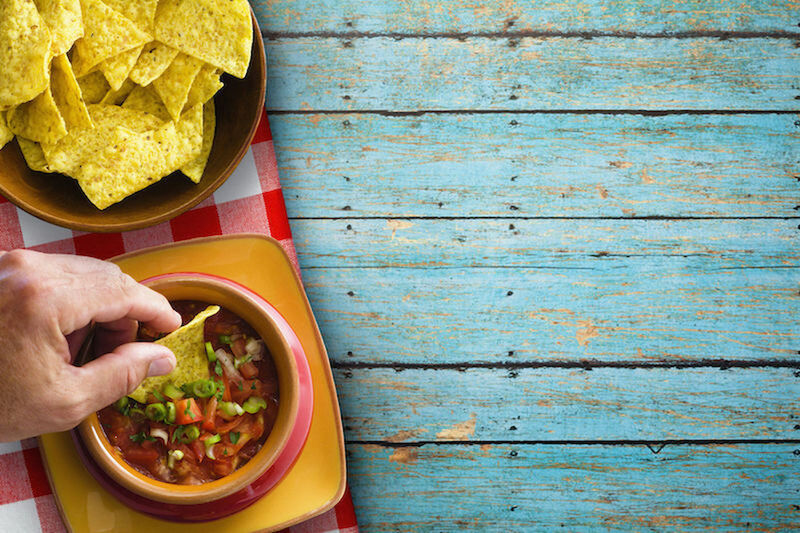 Try to build a burn-free meal by avoiding these common foods that cause heartburn. Ah yes, we know that painful, stinky onion burp from hell all too well. Onions, while nutritious, contain a fermentable fiber called fructooligosaccharides, which may relax the lower esophageal sphincter and increase reflux. One study compared people's symptoms after consuming a burger with raw onions compared to one without and found that the onion-eaters had significantly more heartburn. Can’t imagine a burger without onions? We hear you. Just make sure to cook them well to break down those tough-on-the-gut fibers. Alcohol also relaxes that sphincter, triggering heartburn in the process. While findings in this area are controversial and varied, many studies have found that drinking in excess may increase the risk of reflux, especially since excessive alcohol intake can directly damage the esophageal and gastric mucosal lining. It’s not surprising, then, that in a survey of heartburn sufferers, as many as 67 percent of respondents felt that alcohol was to blame. Wait, wha? Isn’t peppermint a cooling herb? Peppermint is thought to reduce lower esophageal sphincter tension, which makes it easier for stomach acids to creep up. One study found that eight percent of heartburn patients reported complaints after consuming peppermint, and a large systematic review reported heartburn as one of the major side effects of peppermint consumption. Maybe stick to chamomile next time. I know you didn’t want to see this on the list. Here’s the deal. Chocolate contains both caffeine and theobromine, both of which can cause the lower esophageal sphincter to relax and allow stomach acid to escape. One study also found that in comparison to a simple sugar solution, chocolate significantly increased heartburn symptoms within just an hour of indulging. Vanilla macaroons are in your future. The research on salt and reflux is not really working in our favor. One study found that people who ate salted foods three times or more each week increased their risk of heartburn by up to 50 percent! Another study found that risk of acid reflux increased as much as 70 percent in people who added salt to their food, suggesting that we could really stand to take the salt shaker off the table. Our suggestion? Skip the sodium and flavor your meals liberally with fresh herbs and spices instead. Keto dieters, take note! Fat stimulates the release of the hormone cholecystokinin (CCK), which has been shown to relax the lower esophageal sphincter and cause reflux. It can also delay gastric emptying as fat is digested and absorbed slower than other foods, increasing the likelihood that stomach acids get up in our business. 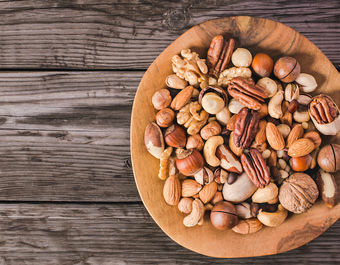 One study looked at a wide range of dietary considerations and found that cholesterol, saturated animal fats, as well as fat, in general, were some of the most likely perceived culprits of reflux symptoms. Try working in a few extra meatless meals each week and choosing leaner cuts of meat, whenever possible. Like the richer cuts of meat, whole milk products (including cream, butter, and our beloved cheese) have become a notorious cause of heartburn. Interestingly, low-fat dairy doesn’t seem to have the same effect, so reach for non-fat or low-fat options if you find it bothers you. That morning joe doesn’t usually play so nicely with heartburn sufferers. While coffee may help perk you up, it actually may do the opposite to our esophageal functions, relaxing the lower esophageal sphincter and increasing the risk of reflux. One report found that about one-quarter of heartburn sufferers found coffee caused them pain. Interestingly, the role of caffeine specifically in this association is largely unclear. While one study found a significant decline in heartburn symptoms with decaffeination, they also found that just adding caffeine to water didn’t cause the ill effects, signaling that there are likely other factors, like acidity, at play. If you’re trying to wean yourself off, try choosing a low-acidity coffee while going half-caf, slowly shifting the caffeinated: decaf ratio until you’re fully coffee-free. Carbonated sodas are not only a common source of caffeine, but they also play a role in reflux by reducing lower esophageal pressure. The result? Lots of burning belches. Classy, we know. One study found that carbonated soda consumptions were one of the worst culprits of heartburn during sleep, and no one likes to be woken up by that! Try cutting back on your soda habit (for more reasons than one) and choosing flat water instead of bubbly. Bad news for our Italian-food-loving friends. With almost 70 percent of heartburn sufferers citing tomatoes or tomato juice as the cause, it’s not surprising that these antioxidant-rich babies made the list. While tomato juice is notoriously acidic, one study found that patients experienced reflux symptoms even when the pH of the drink was adjusted to neutral. In other words, there are likely other components of tomato juice that cause the pain. Sad about missing pasta and pizza night? Go for a white pizza and olive oil-based pasta, or whip up a “red sauce” using bell peppers instead. It’s starting to look like water might be the only safe drinking choice, right? Anyone who is prone to heartburn and reflux knows how easily a glass of freshly squeezed OJ can ruin an otherwise lovely Sunday brunch. And is it really a huge surprise? With natural acidity, orange and grapefruit juices are among some of the biggest heartburn offenders, with 67 percent of one survey’s participants citing them as a literal pain. Another study found grapefruit juice to have the worst effect out of all other drinks and juices. If you love your citrus, try watering it down and adding a single shot to a tall glass of water. OK, technically not a food (so please, do not swallow a wad), but it seems that gum chewers may be onto something when it comes to heartburn prevention. Research has shown that chewing sugar-free bicarbonate gum can help increase saliva production and clear the esophagus of painful acids. We recommend keeping a pack handy in case any of the offending foods mentioned make it onto your plate (or you just can't give up your morning cup of joe). Yay! Another great reason to eat more carbs! 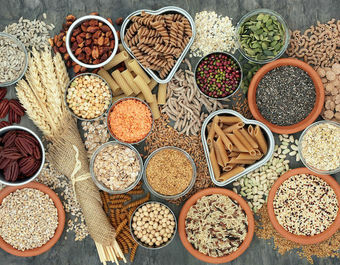 It seems that unlike fatty meats and dairy, high-fiber foods may have a protective role in reducing the risk of reflux. One study found that participants who ate higher fiber bread were twice as likely to relieve their heartburn symptoms than those who ate lower fiber bread. While the exact rationale for this association is largely unknown, it’s believed that fiber reduces nitrites in the stomach that otherwise play a role in relaxing the lower esophageal sphincter. Here’s a little dietitian tip to help you get your 25-37 grams per day of fiber: When choosing a bread, look for one with at least 4 grams of fiber per serving. You know you don’t need another reason to get your fruit and veggie fix, but hey, here it goes. In addition to providing a healthy dose of that reflux-reducing fiber, produce also is rich in vitamins A, C, and E, which have a protective effect against reflux thanks to their antioxidant properties. Just be sure to avoid any of the higher acid veggies like oranges, lemons, citrus, and tomatoes. For more great fitness tips, healthy recipes, and inspiration, check out our friends at Greatist.